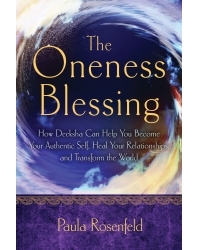 Paula Rosenfeld, Certified Oneness Trainer, launched her Chicago, Illinois business, From The Heart Center, LLC, in 1992 and has been working ever since as a shamanic practitioner, energy worker, clairvoyant reader, coach, and meditation instructor. Her awakening in 2013 at Oneness University in India reignited a long-held dedication to the transformation of world consciousness. She returned to Oneness University to become a Certified Oneness Trainer, able to initiate others to become Deeksha Givers. Her website is fromtheheartcenter.com.